Job seekers who are well coached put many hours into preparing for interviews. They pour over the job postings word by word. They look carefully at each bullet point describing the job, the competencies desired, and the required credentials. Applicants carefully craft answers of how they represent those listed qualities. It is a lot more work than people might imagine, if it is done correctly. Once called for the interview, candidates often spend a great deal of time researching the organization’s website, products, services, history, and leadership. Cramming the information publicly available much like preparing for a school exam. Always hoping they seem to know enough when asked! Applicants review over and over responses to “why they are interested in the job”, “describing their leadership style” and “what they bring to the position” questions. However, one of the most overlooked factors of interviews is that they go both ways. Candidates should also prepare to interview the organization they are applying for. I don’t mean by asking a number of interrogating questions, as normally it is only appropriate to ask a few questions. What I am describing is much more of a checklist of items to look for and assign a green light, or a red light based on what is important to the applicant. For example, you may observe as you meet your interviewer (s) who is included in the process. The broader the panel, the flatter the organization is in decision making. If a cross section of stakeholders are included in the interview process, the company is usually demonstrating how it makes decisions and the value of the stakeholders. Another example is to thoughtfully examine the hiring process they have put in place. Are there multiple steps? Do they provide additional information on the organization not readily available to the public? Do they give you a tour of even the office space you go to interview at? I can tell you I learned the hard way about taking a job without touring the location! It does take hours to prepare for interviews, so adding a little more time to ensure the organizations are interviewed as well is an investment that will pay off. Candidates may be pleased by what they learn or shocked, but either way understanding that job seekers are also interviewing potential employers is a strategic perspective. 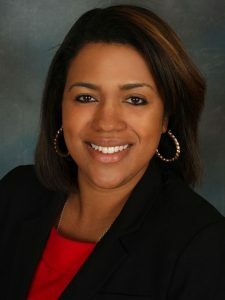 Dr. Daniele Lyman-Torres is the Commissioner of the Department of Recreation and Youth Services for the City of Rochester.